An award of the association for companies in the IT and Internet industry in Berlin and Brandenburg, SIBB e.V., the Business Apps Network, and the Berlin Senate Department for Economic Affairs, Technology and Research for outstanding technology based developments. 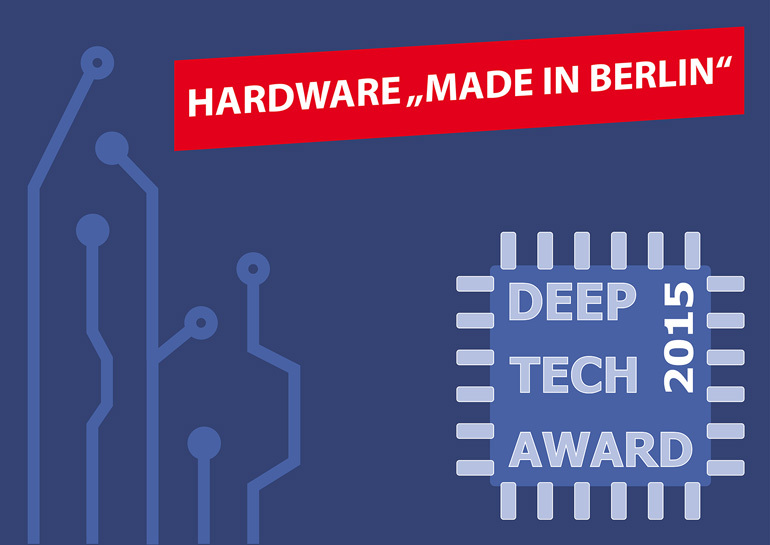 Sicoya GmbH, Senic GmbH, Rohde & Schwarz SIT GmbH, pikkerton GmbH, R3 – Reliable Realtime Radio Communications GmbH are the five Berlin award winners of the Deep Tech Awards with prize money totalling 50,000 Euro. Jury statement:Sicoya uses a highly innovative process technology for the cointegration of optical modulators and photo detectors on the same chip. Besides the reduction of the electrical power consumption, clear cost benefits can be achieved in the production, due to a drastic reduction of fabrication steps during packaging. The jury was convinced by the innovative use of photonic components with a much smaller footprint compared to the electronic components. The core technology encompasses the worldwide smallest silicon modulator which allows prozessing more the 10,000 units on a square millimeter. This reduction in size results especially in a higher energy efficiency with regards to the processing of the light from the laser source. The jury is confident that Sicoya, based on its technology, can become a strong player in the global market. This is confirmed by the private investment from Target Partners in November.